The inspiring and prolific Kate Thompson is back on our creative network with a brand new course! It is an honor to have had Kate share her techniques and gifts with us over the years and to love the students on our site so lavishly. Kate will be traveling with me May of 2019 for my last The Living Studio abroad (at least for the foreseeable future) because of our joint love of history, imagery, vintage papers and use of texture. This course is a beautiful blend of so many parts of what Kate is known and respected for. This course is an extra special course with extra content just for you! 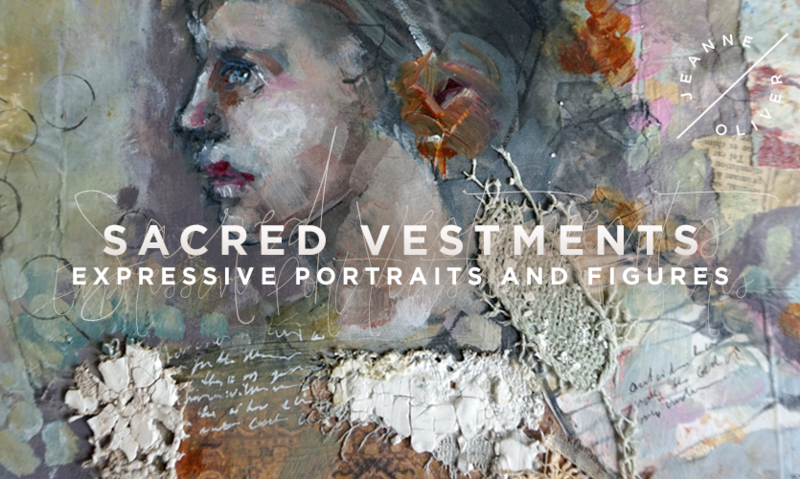 Early Registration of $48 is ending Thursday, October 4th 10pm MST for Kate’s course, Sacred Vestments | Expressive Portraits and Figures. It will then go to $62 and it will go live on November 4th, 2018. The course is 8+ Hours of Content. In this course, we will be creating 3 completed paintings. The focus is on faces with abstract figures. 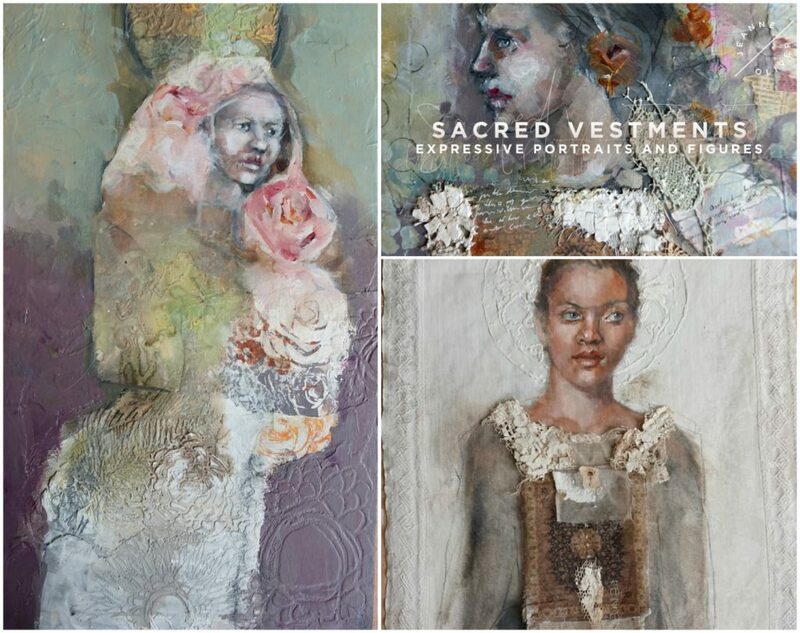 These figures will be adorned with vestments that we make out of all different types of materials; fabric, vintage lace, old vintage papers, plastered vintage fabrics, transfer skins, scribbled and painted abstract pieces, and stenciled pages. Hand stitching and matte medium will help to attach these vestments to the figures. We will use joint compound to create relief techniques for added dimension to the pieces. I show you so many techniques that you can take to make art that is creative and personal to you.